I currently ride for Banbridge Cycling Club. At the age of 6 I was trying out different sports and through family friends I got involved in mountain biking and joined Banbridge Cycling Club. Since then I’ve grew to love the sport more and more. In my youth days I played football and rugby through local clubs and school up until the age of 15-16 when I started to take cycling more seriously. I started off my cycling life mountain biking. I always raced MTB and throughout the winter raced the odd cyclocross race. It was up until junior I began road cycling and began getting results, that drove me to compete more on the road in the past couple of years. Has to be the Oakleys! 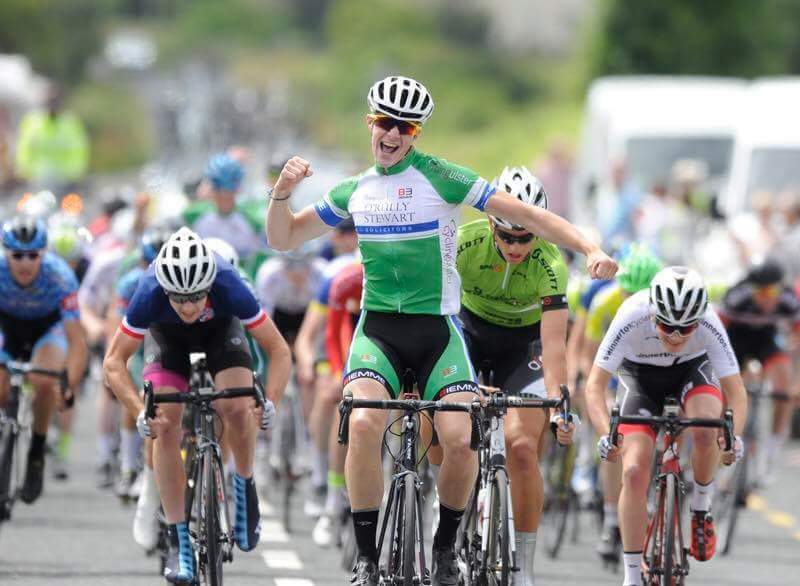 Double stage win at the Junior Tour of Ireland 2017. Points jersey leader in Junior Tour of Wales 2017. Representing Ireland at the European Championships 2017 - 24th place. Coming from an MTB background, you have to say Nino Schurter. On the road scene Peter Sagan! There's loads.. Peter Sagan riding MTB at the Rio Olympics in 2016 or winning the World Champs for the third time! Favourite stage race would be Le Tour de France and one day race the World Championships as the atmosphere created before and during for both races! Plus the fact they’re the two biggest races in the cycling calendar! Loving a bit of James Arthur and Sam Smith at the minute. Show my full potential on the bike and see where it can get me!